I am an FAS faculty member with an ed tech question. What are the next steps? What is your instructional design process like? What will it be like working with an educational technologist? How much input will department leaders have in the process? How do you identify course projects to accept? What about copyright and intellectual property issues? 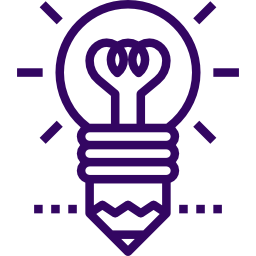 If you have an educational technology-related question, big or small, do not hesitate to fill out an appointment request form or send an email to fas-edtech-group@nyu.edu. You can also send an email directly to the Director if you prefer. we may direct you to one of the university-wide offices if appropriate. Our office offers individual and group consultations and hands-on support to instructors interested in integrating technology into their courses. Our process consists of 3 parts: consultation, sustained support throughout the course duration, and assessment of efforts. We kindly request that you contact us as early as possible (at least several months before the course) so that we may properly prepare. You will meet with the Director of Educational Technology to determine the initial parameters, and then will meet with one of our talented educational technologists to begin the planning process. NOTE: For technology-enhanced courses, meaning no significant alteration in the number of instructor face-to-face contact hours, we will update the Chair and DUS/DUGS of your department so that they are informed by any curricular enhancements. For more complicated projects, such as proposals for courses with significant online components, there would be need to get approval from the Curriculum Committee and/or Divisional Dean. implementing an assessment plan for technology-enhanced interventions. After the completion of your course, we will evaluate the effectiveness of interventions, gauge student satisfaction and learning, and determine areas of future improvement / next steps. Our educational technologists serve as collaborators in the process, and offer technological expertise, knowledge of appropriate teaching strategies, and design know-how. We will rely on your disciplinary expertise and see this as a partnership. We anticipate this being a respectful relationship where fruitful critique and feedback happens. How much input will school/department leaders have in the process? Our policy is to maintain active communication between our office, the Deans, the Undergraduate Curriculum Committee, and the chairs, DUSs and DUGs of departments of which we have active projects. This ensures that we adhere to curricular standards and keep all relevant parties abreast of developments. We anticipate that these updates will be higher level, meant to give a general overview of any new curricular innovations and identify points of synergy between other faculty members. In some cases, possible initiatives are identified by the Divisional Deans or Chairs of departments. In other cases, faculty members contact us directly, or the Director of Educational Technology will reach out to faculty members. Since we are the local educational technology support for FAS, we will address all inquiries that come in directly from faculty members. We will determine whether or not the proposed idea can be supported with in-house resources/expertise, or if it would be appropriate to partner with resources offered through ITS, the Libraries, and/or Global Technology Services. Rest assured, though, that your needs will be met! We kindly request that you contact us as soon as possible prior to the start of the course in question. This is due to the fact that researching solutions, creating custom content and modules, and iterative design take time. Ideally, you should contact us at least 2-3 months prior to the course start date. It is important to be aware of copyright status when re-using certain content. NYU Libraries maintains a very useful site (http://www.nyu.edu/footer/copyright-and-fair-use.html) that you should consult. For specific questions on which materials you can use in blended learning situations, please send an email to fairuse@nyu.edu. As part of our mission, we will help with creating activities and content for small-to-medium sized course projects. These include online lectures, interactive modules, and tutorials. Many teachers ask about who will own custom content. The Office of Educational Technology serves in an assistive capacity and does not own the content. For questions about whether or not an individual faculty members owns the content, please refer to the University’s official statement on intellectual property (http://www.nyu.edu/about/policies-guidelines-compliance/policies-and-guidelines/policy-intellectual-property.html), or ask your chair or dean.